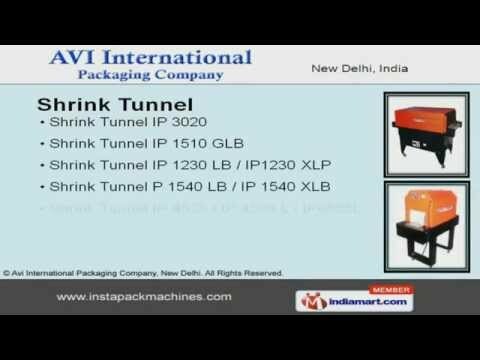 Welcome to AVI InternationalManufacturer & Supplier of Packing & Strapping MachinesThe company was incepted in the year 2005 with the brand name ¿¿¿¿¿¿INSTAPACK¿¿¿¿¿. We are well known in the market for our timeliness, excellent solutions, high qualitystandards & customization facility. Our product list includes wide variety of packing & strapping machines. We provide vacuum packing machines that are manufactured under expert supervision. Our shrink tunnels are appreciated by our clients for durability & reliability. We offer shrink wrap tunnels at reasonable prices. Along with that we offer strapping machines that are well known in the market fortheir impeccable performance. We also offer piston fillers that are applicable in various industries.